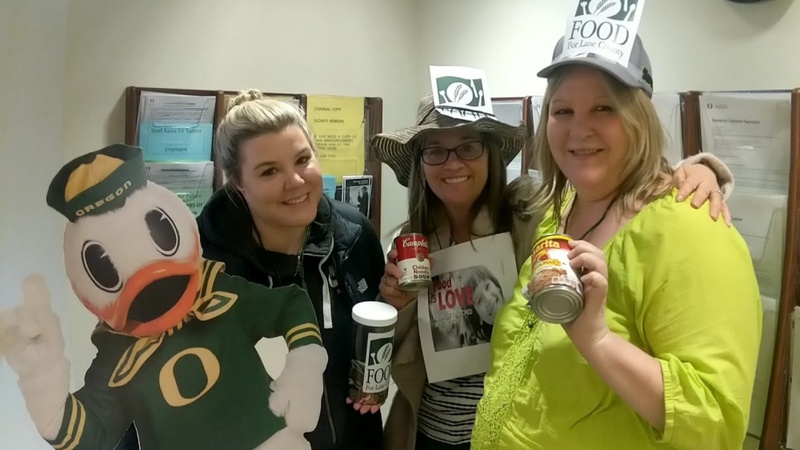 Every year, UO departments plan fundraising events to support the Governor’s State Employees Food Drive, including bake sales and silent auctions. This year, the food drive steering committee is partnering with the Division of Student Life to host a Valentine’s Day pop-up sale in the Erb Memorial Union. Euphoria chocolates and Cosmos Creations will be sold Feb. 14 from 9 a.m. to 4 p.m. Students, staff and community members are invited to stop by the table near the info desk in the EMU and pick up treats for themselves or as a last-minute Valentine’s Day gift for a loved one. Chocolates and puffed corn are $4 per bag, and $2 from each bag of chocolates and $3 from each bag of Cosmos Creations goes to Food for Lane County. Some departments are planning monthlong events to encourage giving. The Jordan Schnitzer Museum of Art is offering free admission with the donation of three or more nonperishable food items through Feb. 28. Students will participate in Build the Duck, constructing a sculptural duck out of cans of donated food, Feb. 14 from 10 a.m.-2 p.m. near the EMU info desk. Information about the UO's food security initiatives will also be available. The Department of Theatre Arts will be holding a Valentine’s Day Pet Extravaganza on Feb. 14 from 10 a.m.-2 p.m in the Miller Theatre Complex lobby. Visitors can meet the theater arts office dogs and their friends and purchase items from a bake sale. University Advancement and the UO Foundation are hosting The Great Fordish Bake Off on Feb. 22, from 11 a.m.-2 p.m. in Room 301, Ford Alumni Center. The two divisions will compete to see who in the alumni center will take home the honorary title of best baker, with all proceeds going to Food for Lane County. Many more events will take place around campus throughout the month. Check out the food drive Facebook page to keep current on events.